This month has been a lot of work... Except when it's a party. 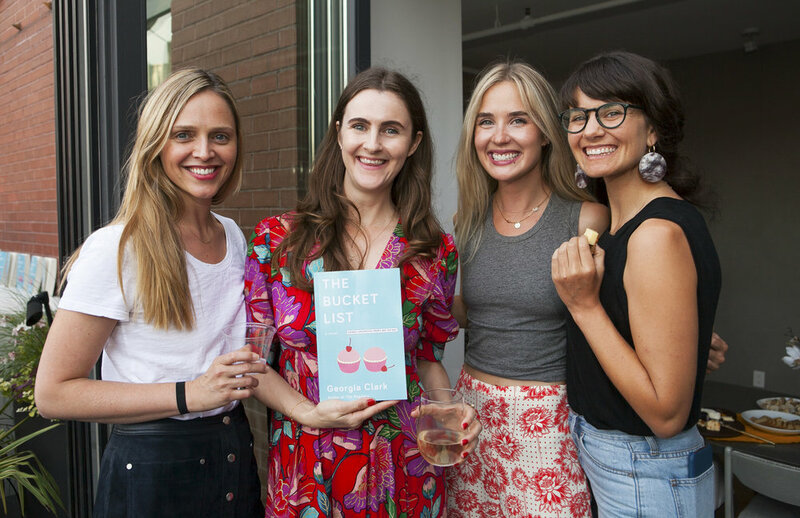 Last month I was able to share the super exciting news that we sold The Regulars to E! This month, we had to put the rosé down, roll up our sleeves, and get to work. The first thing we needed to hand in is an outline. The execs didn’t have a hard-and-fast rule for the format, or even how many acts the show should have, leaving this up to Gail (the showrunner/my co-creator) and I. The first thing I put together was a “beat sheet”, which is a breakdown of the episode by scene (or “beat”). My first beat sheet was waaaayyy too long (I’m a novelist! I like long! ), so after a lot of back and forth, Gail and I got it down to 17 scenes for Evie, the main character, and half a dozen each for Krista and Willow. We also orientated the scenes more clearly around these two questions for each character: What does she want? What’s stopping her from getting it? This helped keep us on story, as the lingo goes. We fleshed out each beat into a scene description, with sample dialogue. After notes from our producer Jenn, we submitted a detailed, fun-to-read 17-page outline to our awesome studio exec, Kate, for more notes, then it goes to the network for approval. Fingers crossed everyone loves it as much as we do. I’ve learned a lot this month about adapting a novel for TV. My advice? 1. Be open to better ideas. It's tempting to protect your writing as it appears in one format, but be humble enough to accept other people will have better ideas than you. One such change Gail suggested for the pilot was that Evie, who is our “eyes in” to the story, receive and take the Pretty first. In the book, Krista receives the Pretty and Willow takes it first, but this makes a lot more sense. 2. Stay on story. I’m a plot-driven writer who admires succinct storytelling, but compared to our pilot, my novel is a free-flowing boho mess who doesn’t wear shoes. There is so much more room to dream in a novel; maybe because readers will stick with you longer than viewers, perhaps because our attention span for visual storytelling is shorter and shorter. Our storytelling is so much tighter and less expansive than the book, and revolves heavily around answering the two questions above: what does she want? What’s stopping her from getting it? All our scenes invoke, complicate, or answer those questions. 3. Be a writer, not a producer. A pilot costs a lot of money to shoot, and the more speaking parts, locations, night shoots, exteriors, stunts, extras (etc) you have, the more it costs. It can be tempting to act as producer in the writing phase to make the project more feasible. But it’s the producer's job to balance the budget. My job right now is to write a kickass pilot. So, while I have resisted the urge to add in a helicopter fight sequence, I haven’t been editing the scope of it too much, at this early stage. PRO-TIP: Gail is in LA, and I’m obviously in NY, so we’ve been using the messaging program Slack to work on this together. I also use Slack for Generation Women. If you haven’t tried is, it’s a helpful way for a team to communicate if you’re drowning in a million email threads. This month, I'm working on marketing and publicity for The Bucket List. My second novel isn't out till August 7th, but in order for it be a big, exciting launch with fun events, great press, and excellent buzz, that groundwork starts now. Right now I'm rounding up author blurbs: the words of praise from other writers often featured on the book's jacket or elsewhere online. For a debut novel, the publisher will push hard for blurbs but from book two and onwards, this mostly falls on the author's shoulders. So far, I have three great blurbs from authors Amy Poeppel, Andrea Dunlop, and Corinne Sullivan. How did I get these? By actively and enthusiastically fostering a bookish community. No one goes it alone: everyone needs a community. Here's how you can create yours. 1. Rethink "competition". We're often mistakenly led to believe our community is our competition. I'm not saying there's zero truth in this, but you have more to gain by befriending your "competitors" than ignoring them. There is power in numbers, and your "competition" will be the source of great advice, powerful connections, and invaluable friendships. 2. Be kind online. Support members of your community online! It's free, easy and effective. Likes are fine, but go one step further and leave a comment, or retweet/repost something. I definitely feel closer to people I've met once or twice through a kind and supportive online relationship. 3. Meet IRL. It's essential you connect with your community offline. 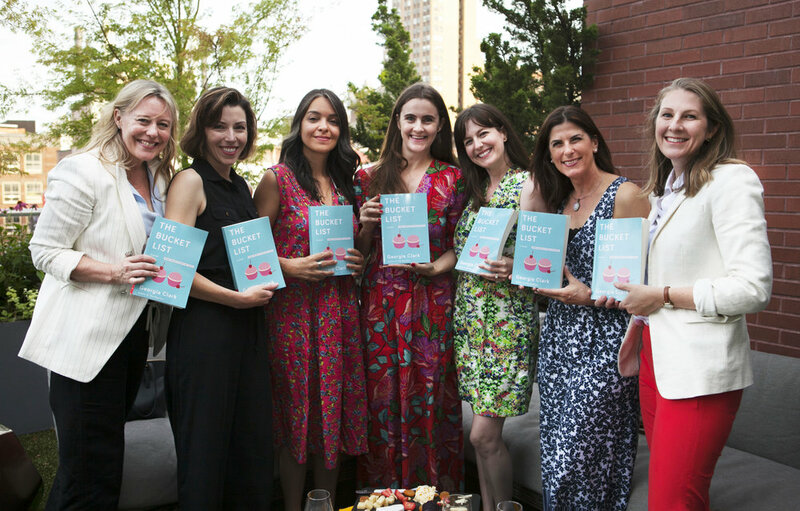 I host a monthly author salon for novelists, where I've made so many great friends. I also go to events and am always up for a drink with a fellow novelist. Why not start a weekly or monthly happy hour for members of your tribe, be it figurative painters or project managers? Don't worry if you're the one always doing the organizing: if you can get your community together, it's worth it. 4. Put your money where your mouth is. For me, that means I buy books. As regular readers of this newsletter are aware, I am always broke, and for a long time I resisted buying books at launches, because I'm such a fan of the ol' local library. But I couldn't ask my friends to buy my book if I didn't buy their's. Ultimately, it's a business expense, and one I'm happy to pay for. Support your community with not just your time and energy, but your wallet. 5. Show up. It's really that simple. To events, to conferences, be present, be interested. I believe it is impossible to thrive in your field or industry without being part of the social culture. Be pro-active and create those relationships. We sold The Regulars TV! I can finally share my TV news... Drumroll please... We sold The Regulars to E! That's right folks, after three trips to LA and over a dozen pitches, we accepted E! 's offer to begin development of my first novel as a show. It. Is. So. Exciting. I'm so very grateful to everyone who helped make this happen: my producer Jennifer Graziano of Just Jenn Productions, show runner Gail Gilchriest, everyone at CBS Studios, our agents at UTA, and of course E! Now, if you want to know when you should set your DVR (if anyone still does that? ), hold your horses. The deal isn't a guarantee the show will be on the air, but what it does mean is Gail and I will write a pilot for E! over the coming months. So now, I'm digging into how to turn this book into a TV show. I'm open to hearing what you guys loved about the book and what you'd hope to see in a show on a network like E! Email me your thoughts! Want to win an advance copy? Goodreads is giving away 30 copies! Competition closes April 2nd! 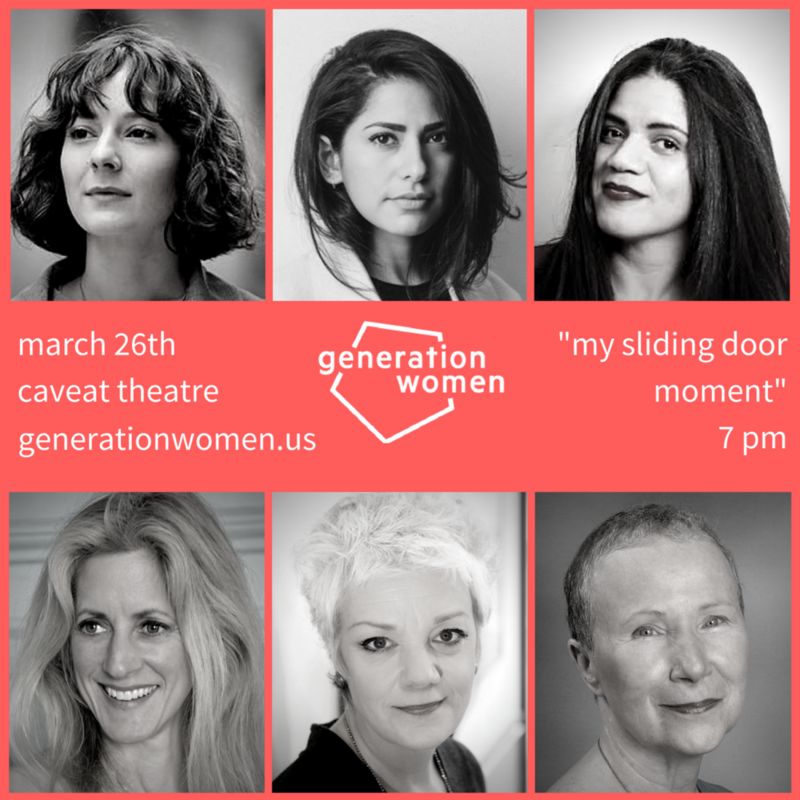 Generation Women line-up announced for March! THE THEME IS "MY SLIDING DOOR MOMENT"
Decisions: we make a bunch of 'em every day (gym or nap? seltzer or wine?). Most are small. Some are bigger. And over the course of a lifetime, some are quite literally life-changing. This month, we're exploring the one decision that changed our lives, forever. Generation Women is a cross-generational storytelling night in NYC, created and hosted by yours truly. Each month, six women of note read an original piece on a theme. Of those women, one is in her 20s, her 30s, her 40s, her 50s, her 60s, and her 70s+. 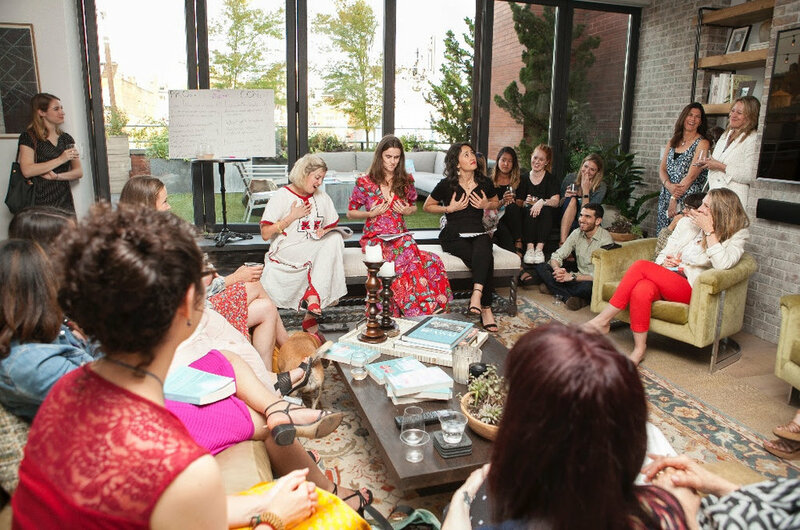 Generation Women celebrates and amplifies women's voices and creativity. 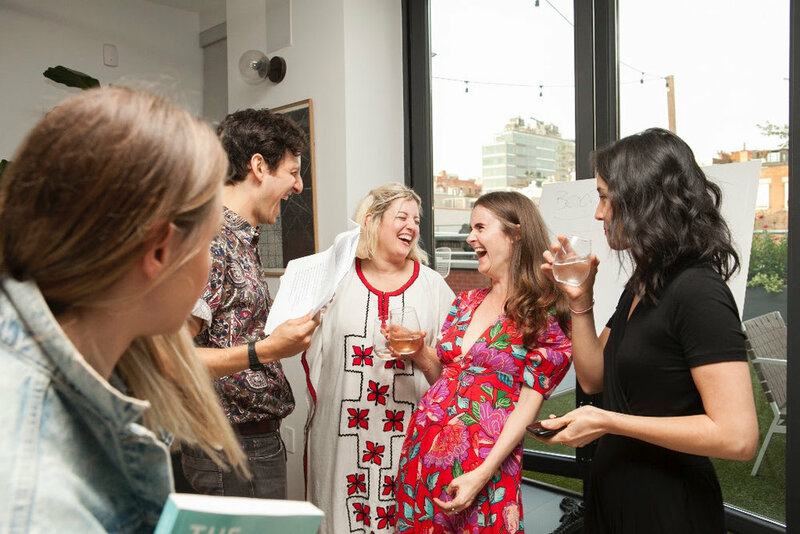 We're a unique, intimate female literary salon that brings together women of all ages. Team 30: Azita Ardakani is a Canadian Iranian immigrant and a five year transplant to New York City. She founded Love Social, an award winning digital impact agency, and is now a partner at Honeycomb Portfolio, a female founded impact investment fund.